What If You Could Feel Like You Were Truly Loved, Like You Completely Belonged, And Had Everything You Needed To Be Happy For The Rest Of Your Life? Can you imagine what your life would be like if you had everything your heart and soul ever wanted? You’re blissfully in love with your soul mate. You weather all the storms of life together and are there for each other, no matter what. You feel so loved that you have no reason to envy anyone else’s relationship, or spend a minute doubting your partner’s devotion to you. In your career, you wake up every morning excited and optimistic because you spend your day doing what speaks to your soul. Your work has deep meaning to you and you’re very good at what you do. You don’t second-guess yourself or have regrets—not because you don’t make mistakes—but because you trust yourself and do your best in the moment. You’re surrounded by dear friends who love spending time with you and respect your opinions as much as you respect theirs. And have what you need to be happy—always. There can be only ONE THING that makes all of this confidence, joy and optimism possible. It’s something very few people have, but many talk about. It’s often misunderstood, but undeniably desired. When others have it, you feel good around them, and when they lack it, you look for reasons to avoid them. It isn’t the perfect marriage, the comfortable nest egg, the picture-perfect home, the enviable body or a superstar resumé. It isn’t having rosy-cheeked children who always make you proud. It isn’t having the time and money to go on adventures to exotic places and having all your friends be jealous of your carefree lifestyle. This one thing is so important and so fundamental that it can change EVERYTHING about your life, love, career, relationships and more. And you’ve probably agreed with that statement without really knowing what “loving yourself” really means. It’s not about being selfish or self-indulgent. It’s not about getting enough sleep or eating right or getting proper exercise. It’s not about standing in front of the mirror and telling yourself, “I love you,” or repeating empty mantras every morning you don’t really believe. Self love is not narcissism or arrogance, either. It’s none of those things, because all of these are actually a distraction from self love. These things do nothing to feed your heart and soul, which is the true measure of happiness. Self love is loving those parts of yourself that you have always believed to be unlovable. Self love is the willingness and fortitude to put into action what is in alignment with the desires of your heart. It is knowing at any moment what it is you are feeling so that you know what you want and can express it without guilt, remorse or shame. Self love is having confidence in the integrity of your words and actions, so you’re not obsessively re-hashing conversations or wondering what you did to make someone avoid you. If it’s so simple, why is having self love so rare? Why do we give away our power to others and feel that whatever we do, it’s never good enough? Why do we always think it’s our fault when someone doesn’t call us back or return a text? Why do we often feel that we’re not as smart, attractive, accomplished or admired as others, and therefore, will never have love or the kind of life we dream about? We may say we want self love, and we may have an idea of how it can help us live a better life, but we don’t know the first thing about how to have it. And there are 3 reasons why. The fact is, self love can be a challenging concept. It’s challenging because self love goes against everything you may have been told will make you happy—by your parents, your religious beliefs, your friends, society, and the media. But the biggest obstacle getting in the way of having self love and ultimately, confidence, joy and optimism, is your own mind. Your mind creates these “anchors” that keep you from self love because they tie you to what others think and expect of you. They keep you from self love because they don’t allow you to get to know your authentic self. 1 You’re holding on to a FALSE IDEA OF YOURSELF. Who would you be without the expectations others have placed on you? What kind of life would you have if you lived according to the “real” you? Do you even know? Maybe your parents instilled the notion that in order to be loved you had to be a “good girl” or a “good boy,” so you’re a people-pleaser and perfectionist. Society tells you that marrying a handsome, ambitious and financially affluent man is the epitome of what you should want as a woman, so you chase “chemistry” on dates and end up with the wrong man most of the time. The media says you have to make a lot of money and have an impressive title to be successful, so you work a job that drains you because you don’t want to be seen as a failure. When you have self love, you always know who you are and what you want because you aren’t allowing others’ expectations to shape your life. 2 You’re holding on to FEAR. Fear is big obstacle in the way of you loving yourself. You’re afraid you’re not good enough to attract the man or woman of your dreams. You’re afraid that the people you like and admire won’t accept you. You’re afraid that you’re not as good as other people—and that one day, someone will discover that you’re just a pretender without credentials. These fears are keeping you from loving yourself and pursuing what is true for you. They keep you small and they keep you stuck. These fears keep you from finding true meaning and purpose and they keep you from attracting true love. When you’re holding on to fear, you’re not practicing self love because the energy of fear keeps you from reaching your heart. When you can’t reach your heart, you’re not taking action on the things that will set your soul free. Self love is letting go of that fear and stepping forward to BE all that we are meant to be and have all that we are meant to have. 3 You’re holding on to THE PAST. Are you still pining away for that old flame? Or complaining about your ex? Are you constantly thinking of how your life could have turned out differently if only…you hadn’t gotten involved with that person, taken on that project, said the wrong thing? When you hold on to the past, you hold on to negative energy. That energy is so tightly bound around you that possibilities and light cannot possibly get in. It’s impossible to honor yourself when you can’t see past the choices you’ve made in the past. These psychological anchors make it nearly impossible for you to have self love. Instead of flowing with the creative, expansive energy of Self Love, these anchors make your life small because of self-sabotage and subconscious patterns. You do things because you think you should. You make decisions based on what you think will make you happy. You say yes to the wrong partners, the wrong jobs, the wrong friends. These patterns compel you to end up in bad relationships, failing careers, feeling stressed, lost and depressed. Sure, happiness, prosperity and love may show up in your life here and there, but it will be fleeting and never quite enough. How do I know this? Because it is exactly what happened to me. When I was a young woman, I graduated from nursing school and fell madly in love with a handsome and dashing doctor. We got married, had four children and built a life together. In the decades that followed, I acquired everything society tells us that we human beings need in order to be happy and fulfilled in life. I carefully cultivated this picture of perfection I had constructed. My world revolved around maintaining a façade of perfection at all times, based on what my husband and my community saw as the epitome of success. At that moment, my whole world came crashing down. Because it was in that moment I felt that the jig was up. I had tried my damndest to keep sweeping that voice under the rug, to keep ignoring the signs that had been building up to this crescendo for years. Like my futile attempts at trying to connect with my husband’s heart. Or hearing him make snide comments to me about my work. It occurred to me that he and I hadn’t been on the same page for years. Heck, we weren’t even in the same book. Or the time someone had made a casual remark about what a spiritual being I was and I realized I had forgotten—forgotten!—that I had been ordained as a minister when I was younger. I had even forgotten that as a young nurse, I would take the overnight shift just so I could sit and talk with my cardiac patients. Our conversations became medicine for their hearts. But this final sign, this last epiphany, came booming out of the night sky at me and brought me to my knees. I had put in so much of my energy trying to keep the façade of my “perfect life” alive, while my spirit and heart paid the price. The real me had been shrinking smaller and smaller and smaller. The real me loved working with energy to heal people. The real me didn’t want to live in my husband’s world. The real me had a spiritual connection to LOVE itself and wanted to spread this light to others. The real me didn’t care about cars, jewelry and vacation homes. The real me cared about what mattered in life, and what mattered couldn’t be bought, acquired or sold. It was in that moment that I knew what I had to do and it scared me to death. In order to be true to myself, I would have to change the course of my entire life. I got divorced. I moved West. It was the scariest thing I’d ever done. But once I took that courageous step, the universe lay at my feet and ushered in opportunities beyond my imagination. I started a brand-new career helping others find their way to a more authentic, higher vibration way of living. Along the way, I got a lot of help, support and mentoring. I met the right people, ended up in the right places at the right time, and life and love flowed in a positive direction for me. I was joyful and content in a way I hadn’t been for years. I looked at the journey I had taken and I looked at how I could help others find the way to a life and love they could feel joyful about, too. Through much trial and error, failures and successes, I realized I had developed a system that worked. I integrated this system into my practice, and today I have helped thousands of clients find their voice, find their purpose, passion, happiness and love—through Self Love. Energy is at the basis of everything we do, everything we feel, everything we think and believe. When you don’t love yourself, your own love energy that expresses your uniqueness is imprisoned. It cannot radiate out or be received by another. Your love energy cannot reach another and true love cannot find you. When you shift your energy to one of Self Love, you naturally raise your vibration. You free the energy that wants to be expressed and everyone who is in alignment with that energy will be drawn to you like a moth to a light. When you have Self Love, the choices you make every day keep you centered and coming back to what you know to be true for you. You can’t help but meet the right people, attract the right opportunities, and live the life you want. In my program, Self Love For True Love, you’ll discover how to take the 7 specific steps for practicing Self Love and raising your vibration. You’ll learn what’s been holding you back from truly loving yourself, and how to let go of those patterns of thought and behavior, so you can step into a way of being that feels freer and more fulfilling. You’ll learn how to use the Law of Attraction to get more of what you want in love, instead of attracting the same relationship or type of partner over and over (which is easy to do if you’re not conscious of what you’re doing). The person you were always meant to love finds you and is drawn to you, because you beam confidence and light and love. They love you for YOU, so you don’t need to worry about what to wear, how to look or what to say in order to get that person to fall in love with you. Love becomes the easiest thing in the world, instead of being a source of doubt and pain. In Self Love For True Love, you’ll also get heart-centered exercises and inquiries that will help you get crystal clear about who you really are and what you really want out of life and love, so you can say “yes” to the situations that are good for you and say “no” to those that aren’t, without guilt or regret. You’ll gain confidence and courage to make changes that will bring you a new life, full of possibility and purpose. You’ll live each day knowing that you are no longer betraying yourself with self-loathing and distrust of your own truth. You’ll get the tools that will help you create a stronger, keener, clearer and more magnetically attractive you! 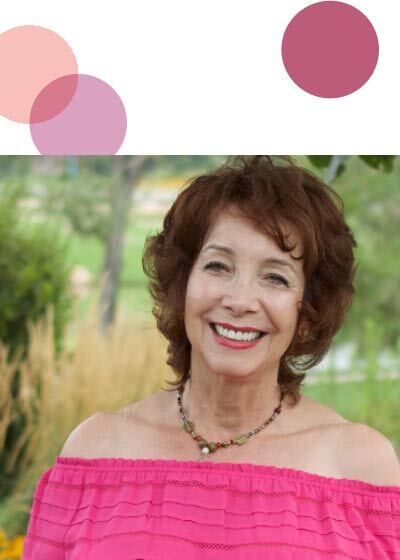 A 65+ page eBook version you can start reading immediately that takes you through the 7 steps for practicing Self Love, including how to release the psychological anchors that are holding you back from loving yourself and living the kind of life your heart and soul have always wanted. You’ll also go through powerful exercises and reflections that will help you eliminate self-doubt, gain confidence, get crystal clear about what you want out of a relationship and discover how to see yourself differently than you have your entire life. An audio version of the book (read by me), which you can take with you on the go, or listen to from the privacy and comfort of your couch. “Empowering Yourself Through Forgiveness” bonus audio meditation where I will guide you through a portal of energy that will help you connect to your authentic self and the frequency of self love. A chapter-by-chapter bonus video in which I’ll take you through the key concepts and practices of the book—this is a handy guide you can refer to throughout your journey to self love. You’ll also receive ongoing support and inspirations through our Free Flourish Newsletter. It’s packed with advice, insights and practical strategies from our curated community of experts. How your everyday habits are keeping you from attracting your Soulmate, and how to create the neuro-pathways that will open doors and bring you happy surprises! Place your order and be reading or listening to Self Love For True Love in a matter of minutes. Take a full 7 days to examine the materials, do the exercises, and go through the entire 7 step process for developing Self Love. You’ll be able to determine for yourself if this program helps you develop more Self Love and therefore shift your energy to a higher level and attract more love and authenticity into your life. Think back to the ways you’ve tried to make your life better in the last year. Maybe you’ve changed your diet, joined a fitness bootcamp, hired a dating or life coach, bought several self-help books or solicited advice from friends and family. What’s still standing in the way of you being the person you want to be and having the love and life you want? Is it your body? Your finances? Your job? Your personality? The fast-pace of modern life? Is it other people and their flakiness or lack of integrity? Is it your past failings and current shortcomings? If you don’t have Self Love, you’ll always be chasing the quick-fix or the temporary distraction, or blaming others for what’s going wrong in your life. And you’ll always end up in the same place: loveless, insecure, struggling and frustrated. Only Self Love can heal any of this. It cannot come from the outside or from someone else. It cannot come from beating yourself up until you wear yourself down. It cannot come from wishing it away or thinking it away. Healing can only come from the inside and it can only come through the process of Self Love, which you can learn all about in Self Love For True Love. When you practice Self Love, you can let go of the constraints that society puts on you. You can free your spirit and heal your body and mind. You won’t want to live your life on autopilot, making decisions based on someone else’s idea of who you should be. When you love yourself, you know who you are and what you want, and like magic, life will conspire to bring it all to you. Whether you want relief from self-doubt, looking for the love of your life, or a life more in alignment with your soul’s desire, Self Love is the key to having it all. And Self Love For True Love can help you create it!